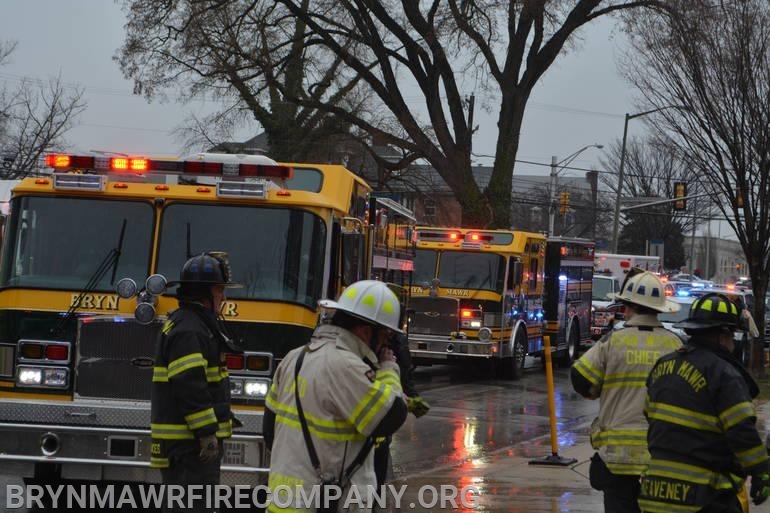 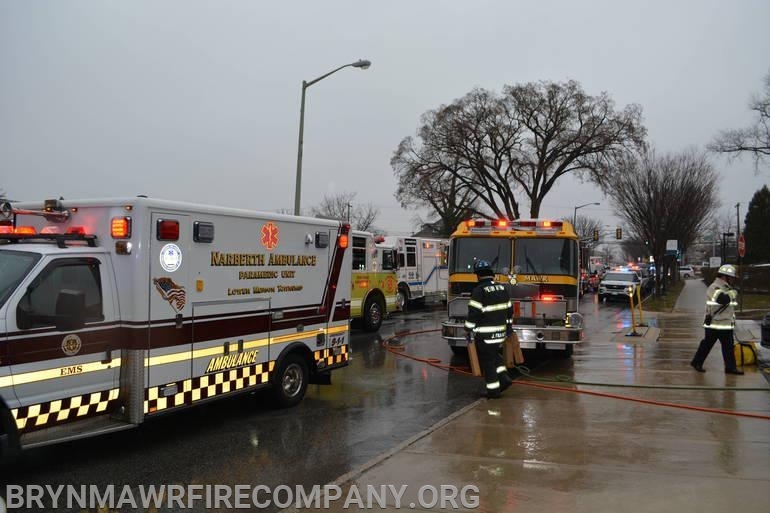 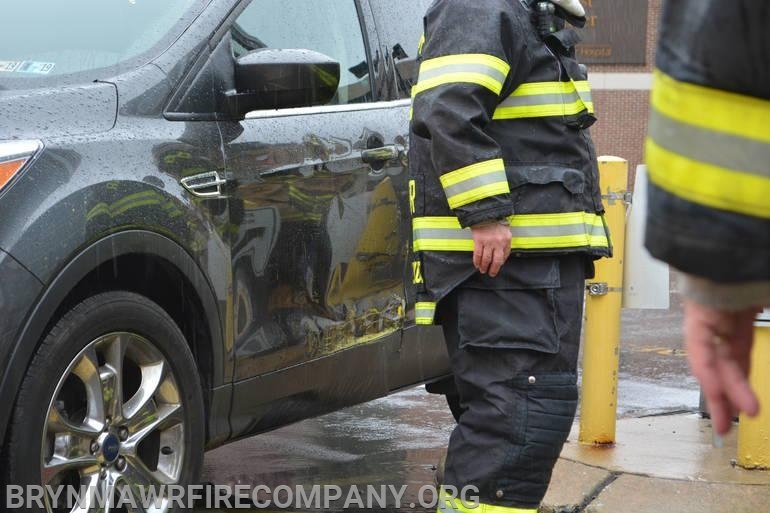 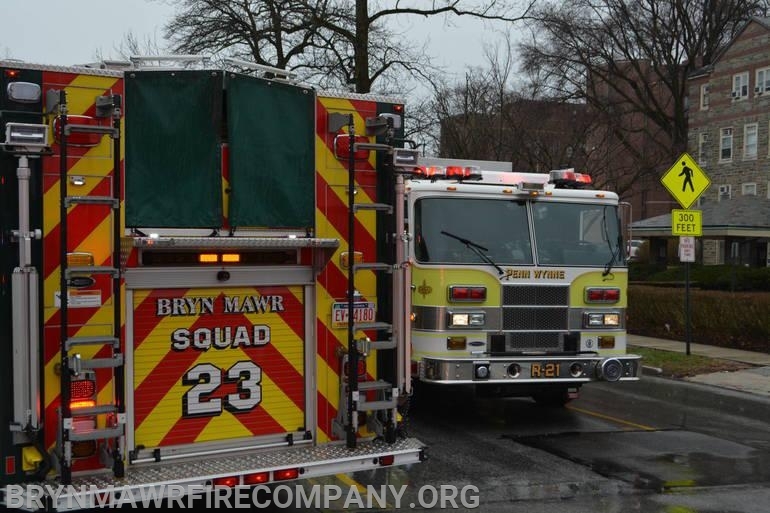 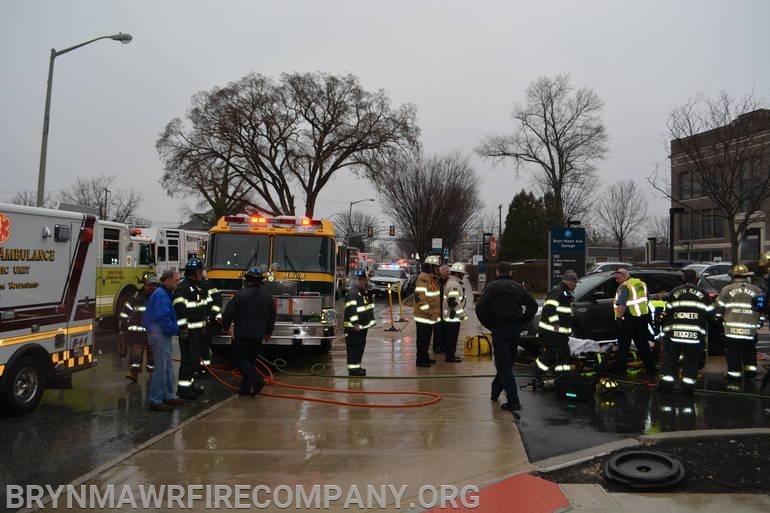 At approximately 15:30 hours, Bryn Mawr Fire Company was dispatched to a parking lot near Bryn Mawr Hospital for a report of a woman trapped underneath her car. 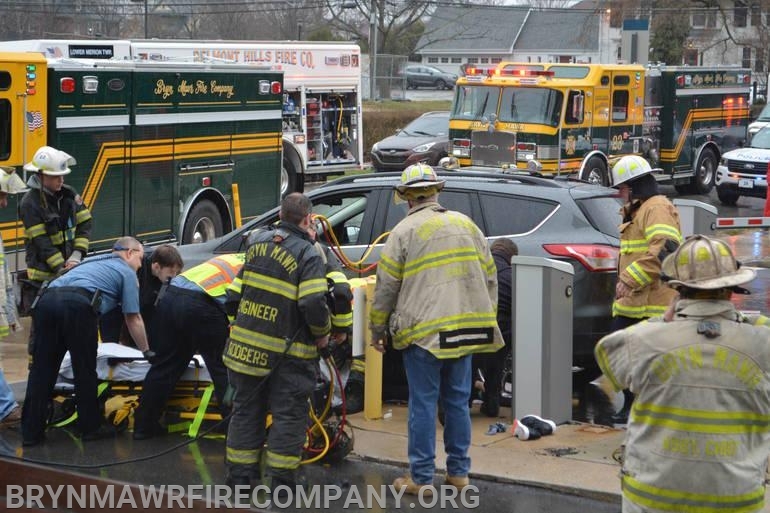 Upon arrival, crews found a woman pinned between her car and a pole at the pay station of the parking lot. 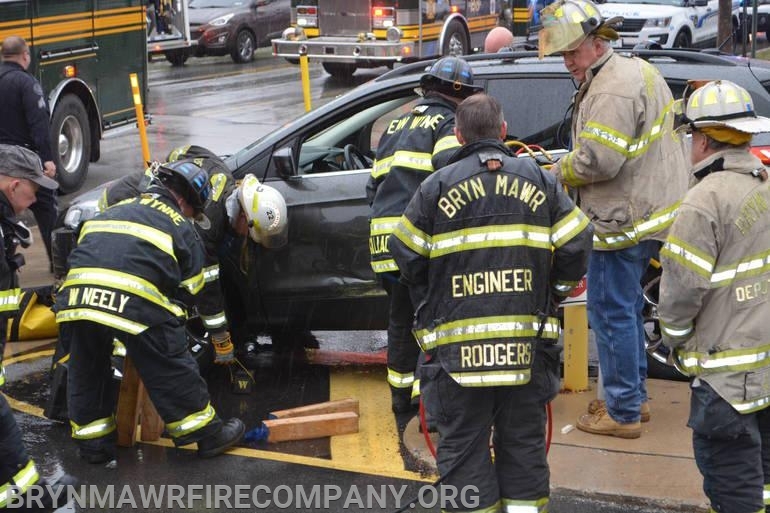 Working together with crews from 21 and 22, members of Bryn Mawr Fire Company used air bags to carefully lift the car so that the driver could be removed from the pinned position. 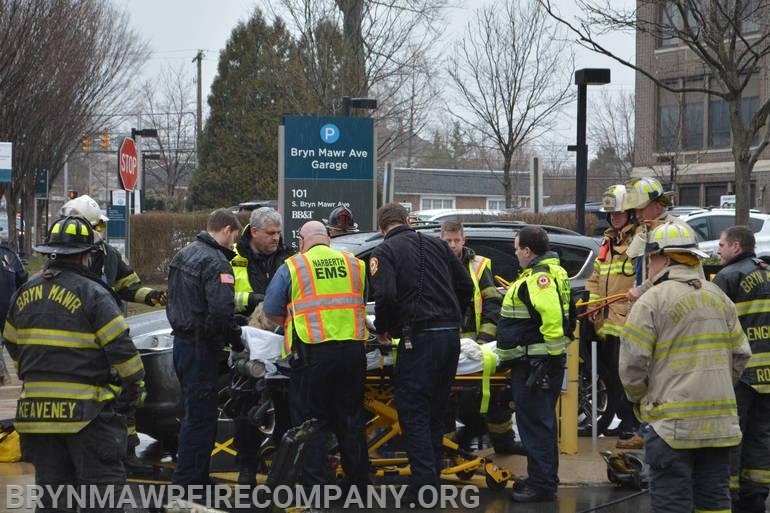 The woman had been paying for parking when she slipped and was pinned between her car and the pole near the payment machine. 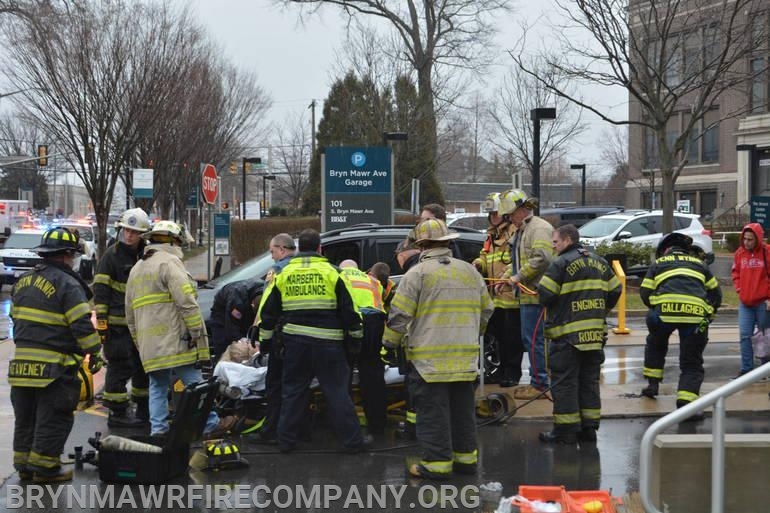 Crews from Narberth Ambulance transported the victim to Lankenau hospital for treatment of her injuries.